This chapter covers on other three doorways of access or sources for spiritual wounds, strongholds, and other unpleasant matters into our lives. Sources of spiritual wounds and strongholds are avenues or doorways through which they come through. Satan’s permitted access through any of these doorways or our falling due to our own sinful nature can result in spiritual wounds as much as it can result in other types of wounds - social, material, and physical. Spiritual wounds are however, the worst because they affect the other areas of life more severely. 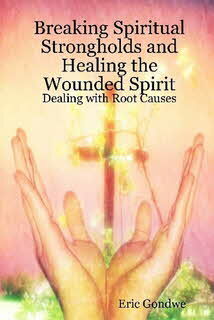 Spiritual wounds lead to inner ill health or spiritual illness. It’s also worth repeating that any of Satan’s access in our lives is through demonic influence. It is not through demonic possession. It is an external type of interference, not an internal one. The following is detailed info on the other three doorways of access for spiritual wounds and other unpleasant matters into our lives. Deception was covered in the previous chapter. The remaining ones are therefore: 1) Ignorance, 2) Sin, and3) Storms of life (when responded to in a wrong way). Please remember that spiritual wounds relate to our human spiritual faculties - mind, will, and emotions. It’s also important to separate deception from ignorance. Deception concerns wrong thoughts, words, and actions that a person receives or carries out while having some knowledge that the thoughts, words, or actions are wrong. Unlike deception, ignorance concerns wrong thoughts, words, and actions that a person receives or carries out while having no knowledge that they are wrong. It is unknown deception or deception without one’s knowledge. This is why knowledge or understanding on key matters in life is so important. Ignorance or lack of knowledge makes one vulnerable to fall victim to all the sources of deception: Satan and his fellow deceiving spirits, self-deception through one’s own flesh and deception from people. Ignorance is therefore an open door for deception. Lack of knowledge can be an open door to adopting all kinds of dangerous beliefs, false doctrines and teachings with the assumption that they are biblical. This results in all kinds of problems related to the false matters one is embracing. The harm one could experience can be in any area(s) of his/her life: spiritual, social, physical health, or material health. Ignorance is a form of mental slavery that renders a person to be vulnerable to exploitation in the area of ignorance. This is why the scripture says lack of knowledge leads to destruction - any area(s) of one’s life: spiritual, social, physical health, or material health. God’s people, not those whose father is the devil (John 8:44) are destroyed from lack of knowledge. God’s people are destroyed not because Satan is strong and furious. It is because they lack knowledge in areas Satan, his fellow fallen angels, and malicious people are able to gain access. Once knowledge in the area of concern is acquired the exploitations a Christian struggled with come to an end. The needed knowledge in the area of concern brings freedom. Whether committed knowingly or out of ignorance sin has the same consequences. Sin is basically either deception yielded to or ignorance in application. This is why deception had to be addressed at length. Once a person knows the nature of deception the battle is half-won. The other half of the battle is in having the inner strength to triumph over the deception. The solution for sins done out of ignorance is acquiring the necessary truth in the area one is unknowingly falling victim to. Knowing the truth is a major step to receiving freedom. “You will know the truth, and the truth will set you free,” John 8:32. Once a person knows the truth in an area of concern the only way he/she can fall is by turning away from the truth. Once this happens we say the person has fallen to deception. At this stage the trap of deception becomes the main cause for the sin. The sin was therefore not committed out of ignorance at this stage. Sins that can bring a wounded spirit include involvement in occult practices, sexual sins, unforgiveness of past hurts, and severe conflicts between a parent and a child, and so on. Storms of life are unpleasant experiences that befall us out of no fault of our own. These include experiences of experiences of betrayal (by a loved one; trusted person, or leader); death of a loved one; experiences of severe physical or emotional abuse; living under a heavy control and disciplinary environment that brings fear; living under constant negative and critical words; living under rejection; false accusations; terrible divorce experience (as the victim); traumatic experience(s), severe accident (e.g. surviving the September 11 terror experience (in Kenya, Tanzania, and USA), traumatic accident, casualty of war); having a physical or social disability; having a certain physical appearance society “persecutes;” severe racial, gender and ethnic discrimination or abuse; falling victim to false teachings; genuine trials of faith; and so on. Depending on how we handle them storms of life can be our stepping stones to our promotion (like with Joseph) or they can be our downfall. They can be assets the Holy Spirit can use to our good or they can be assets Satan can use to block us from moving forward. History has amazing examples of people who ended up in a palace of life instead of a prison of life through storms they went through. The storms failed to enslave them. God can do awesome work with matters that ordinarily disadvantage us if we trust him to be more powerful than our limitations.